omylis | share moments with your loved ones. make your life simpler. Wouldn’t it be nice if anyone could just embrace new technology without having to follow complex instructions? At omylis, we believe in “Objects Making Your Life Simpler”. Our mission is to bring connected objects for your home that are extremely simple to set-up and operate. To help you build a family sharing culture. Share moments with your loved ones. Make your life simpler. 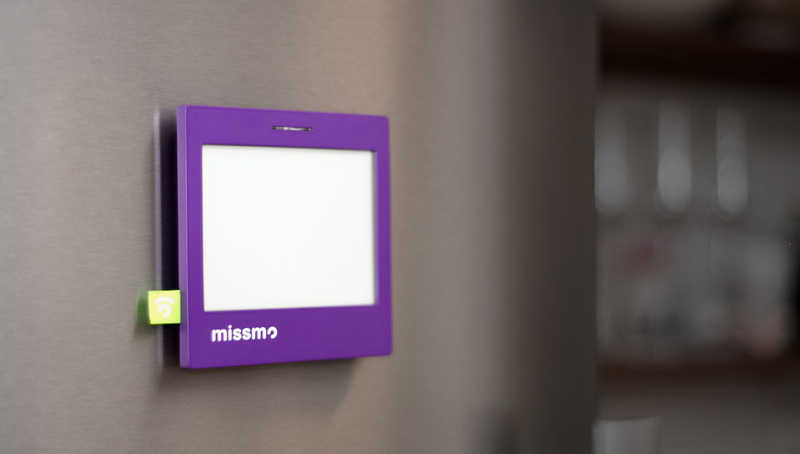 missmo is the ultimate digital sticky note, designed to communicate with all members of your family in your home with a single device as well as with seniors under your care and living away. missmo is a beautifully designed and simple digital device you can understand from a single look. Simplicity as in plug & play, gsm-based, autonomous and portable. missmo is a stand-alone device that works out-of-the-box using any GSM network. We made technology choices that make your life easier. You have questions about omylis or about the missmo device, contact us and we will do our best to answer all your questions.